Welcome to 11 Legend Park, nestled in the "sought after" Sweetwater, Section 7 in First Colony subdivision. 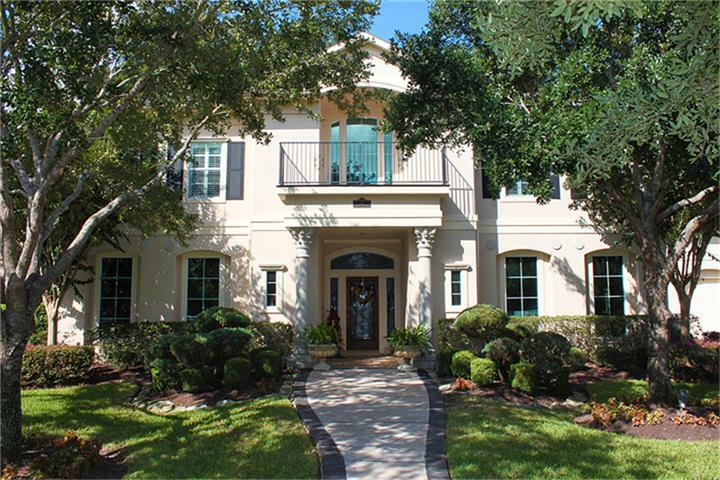 This elegant 5 bedroom, 4 1/2 bath was built in 1998 by builder, Fedrick, Harris Estate Homes. More than $100,000 in upgrades were done to this home in 2009 including plank hardwood floors, granite counters and new cabinets in the kitchen, and a remodeling of the downstairs shower bathroom. As you enter you will find soaring ceilings,coffered w/accent lighting, the open stairway wraps around the upper hallways & open bannisters.. making a distrinctive difference. Huge light and bright kitchen opens to the spacious family room and overlooks the oversized backyard, with black bottom pool and spa, and large covered patio. Downstairs you will find the handsome paneled study filled with shelving and cabinets, the master suite with fireplace and bay windows, walls of glass. Upstairs, the four bedrooms, the game room and computer nook are perfect for the kids. As you can see in this virtual tour, there are numerous features that could make this the perfect home for you. The images are representative of when the owner occupied the home. You can see more images of 11 Legend Park here. Make sure you log in to your Dashboard. ♦ Outdoor entertaining a plus... large covered patio, expansive flagstone coping surrounds the pool, raised patio. The black bottom pool is accompanied by adjoining spa. email Kay today to schedule your showing.